The Beast Master Hunting rifle, developed by professional shooter Nick Atkinson, is a perfect blend of a precision competition rifle and a reliable semi-auto hunting rifle. The BMH rifle comes chambered in 6.5 creedmoor, a versatile round which is well suited for hunting any North American game, or a day of long range shooting at the range. The BMH rifle is specifically designed to include all the features of an extremely accurate rifle, but trim it down to keep weight for hunting reasonable. Tired of cheap plastic rifle cases? The Beast Master Hunting rifle ships in a soft tanned coyote hide! 20" Proof Research carbon fiber barrel to save weight but retain accuracy. Billet Receiver set, machined by Cross Machine and Tool, a company known for producing high quality machined parts. 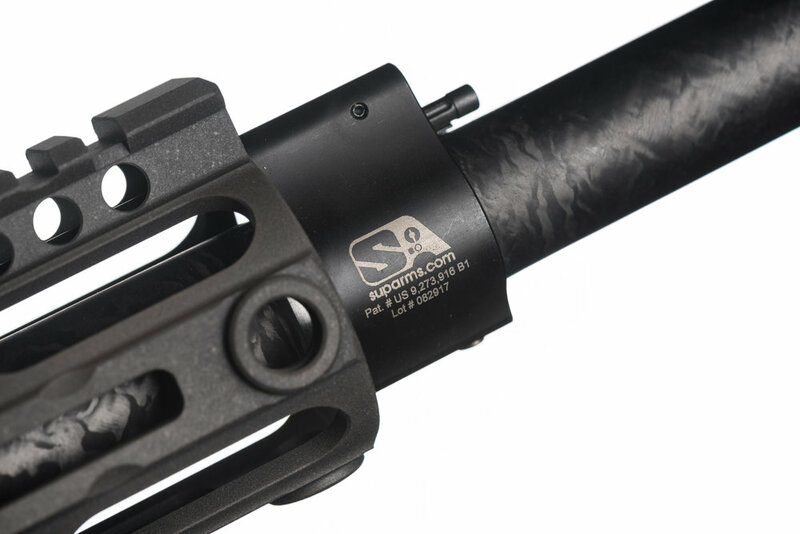 Superlative Arms adjustable gas block, so your rifle's performance can be perfectly tuned. 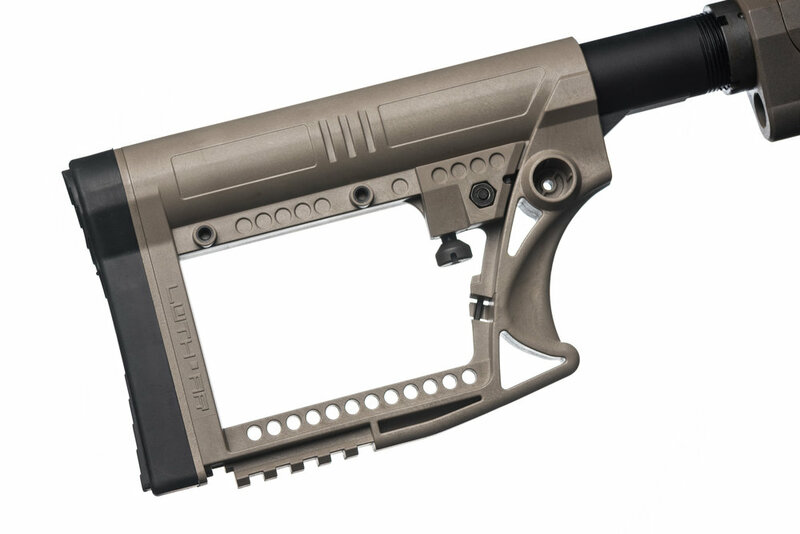 Light-weight Luth-AR MBA4 collapsable stock. 12" Midwest Industries free float handguard with M-Lock. Full weight Nickel Boron coated bolt carrier group, for reliability. Ships with easy to remove thread protector, allowing quick mounting of your suppressor or muzzle device of choice. The Beast Master Hunting rifle weighs in at just 8.1lbs without accessories, making it ideal if you plan on carrying it all day while hunting. Hunting at night with electronic optics? The BMH rifle has an extra hole machined in the receiver, sized perfectly to place a wire guide on the side of your rifle. This wire guide will allow you to keep control of your power or DVR wires, and run them to your battery pack. For ordering information, submit your contact information here.